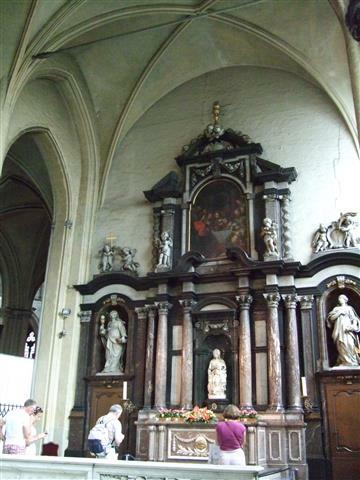 Today’s travel diary post is a photographic journey around the inside of the Church of Our Lady in Bruges, Belgium. 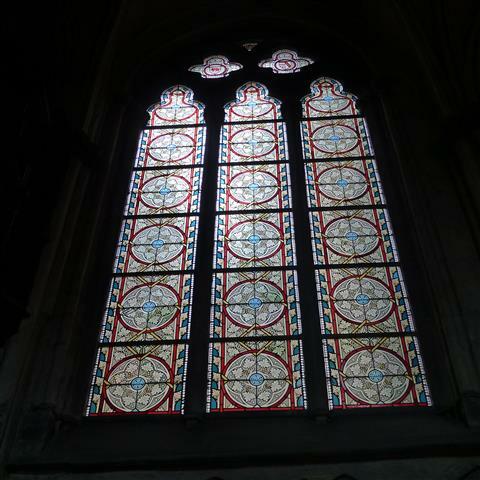 Few words, lots of photos… Enjoy! 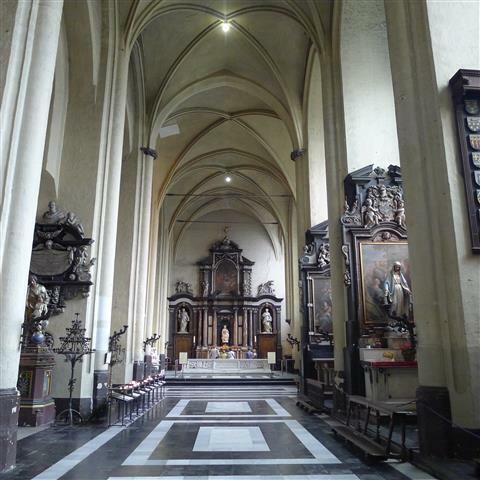 Following my yesterdays post we have arrived at The Church of Our Lady in Bruges, Belgium and are having a look around the Church. 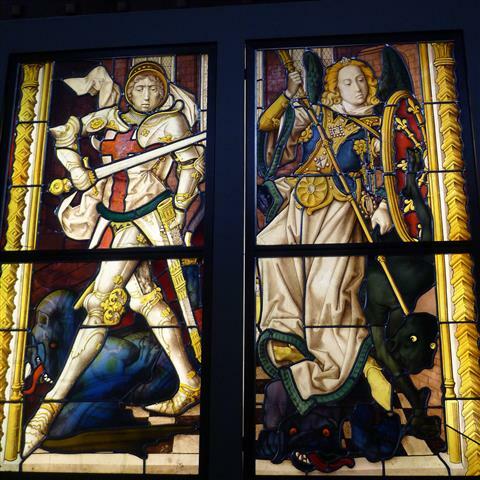 We’ve seen Michelangel’s statue of the Madonna, but that’s not the only beautiful art on display here. 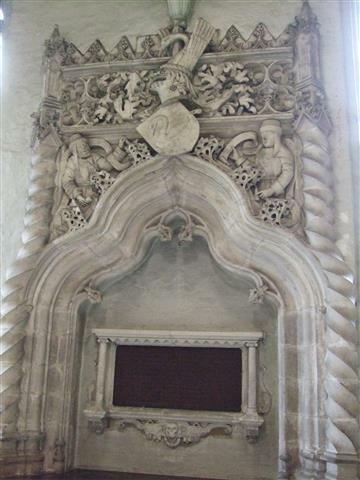 Our attention is drawn to two effigies, one male and one female, and the highly ornate side of the slabs within which they are entombed. 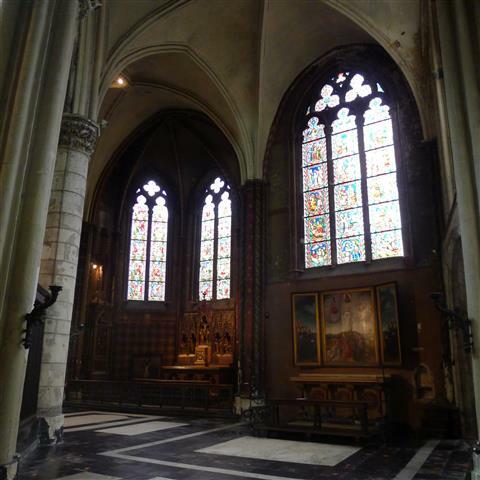 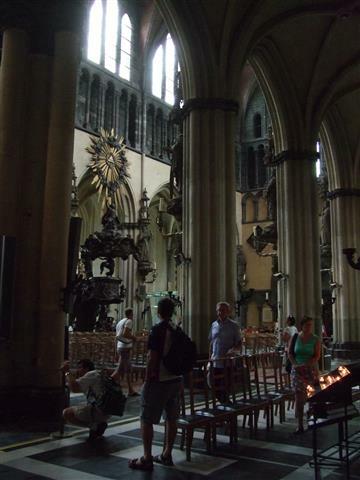 In the choir space behind the high altar are the tombs of Charles the Bold, last Valois Duke of Burgundy, and his daughter, the duchess Mary. 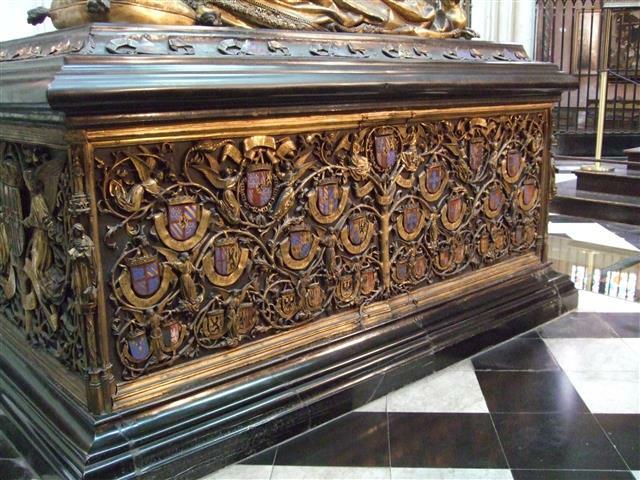 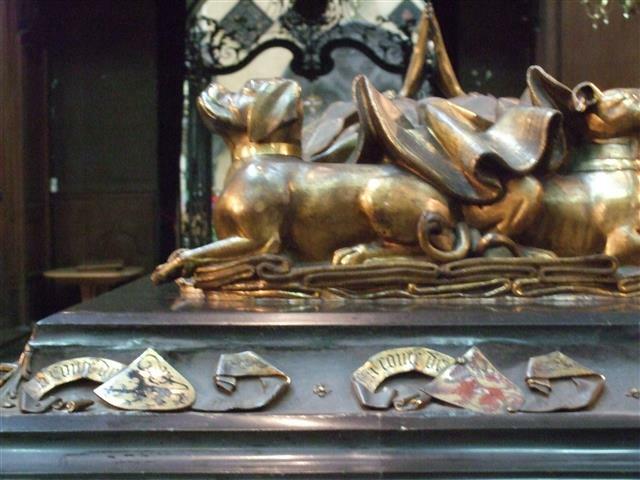 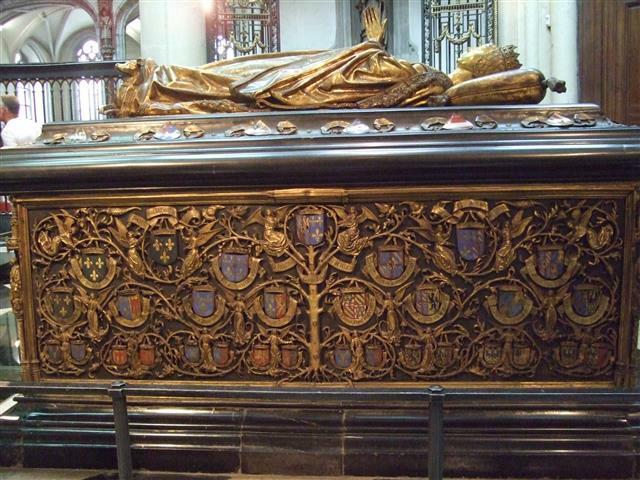 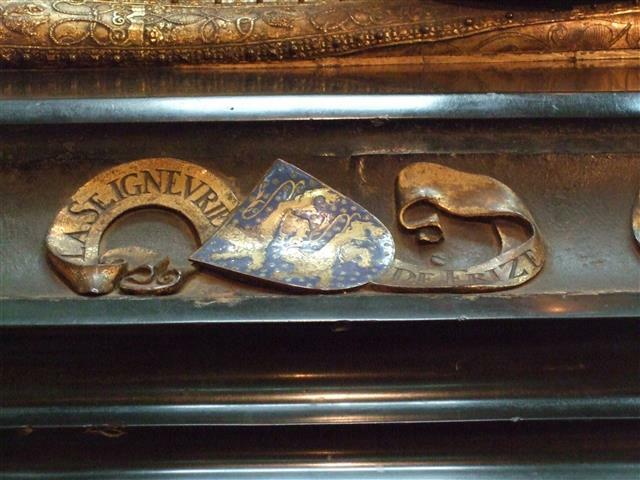 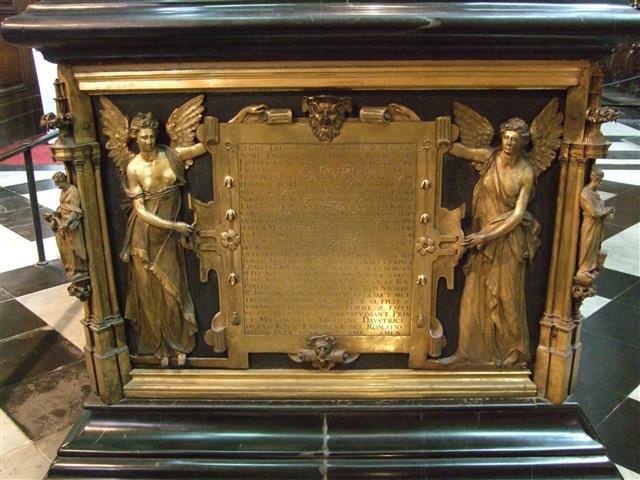 The gilded bronze effigies of both father and daughter repose at full length on polished slabs of black stone. 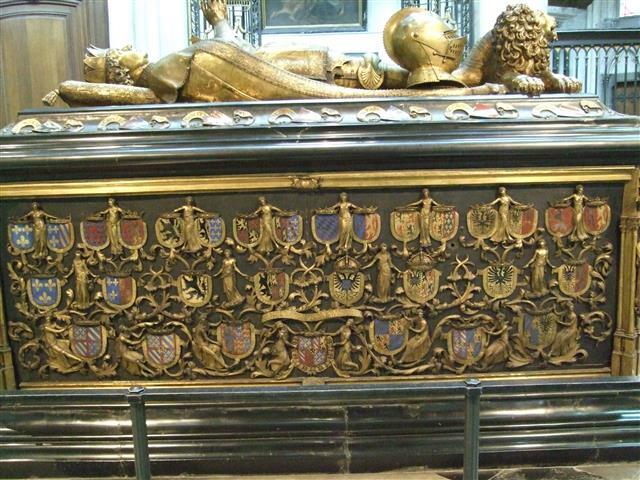 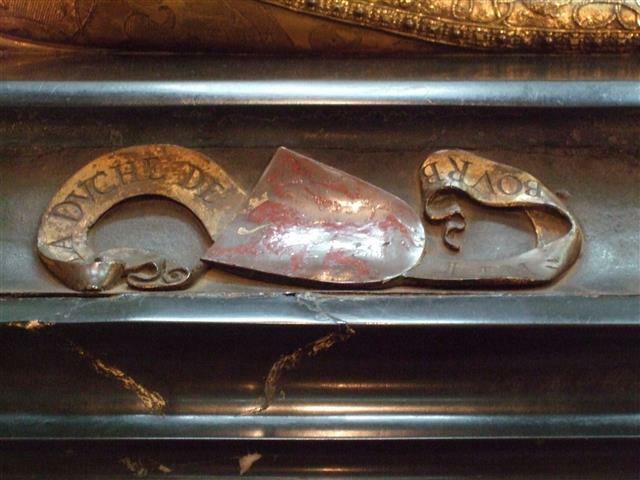 Both are crowned, and Charles is represented in full armour and wearing the decoration of the Order of the Golden Fleece. 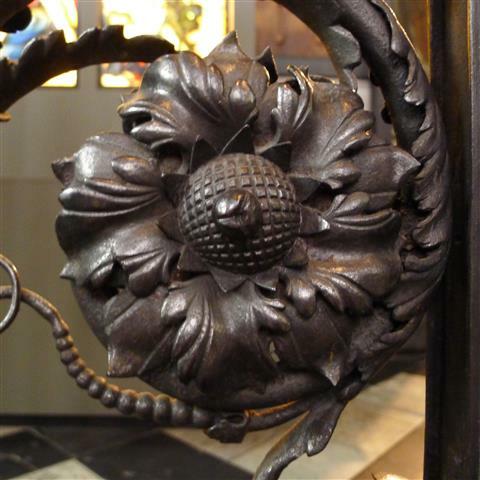 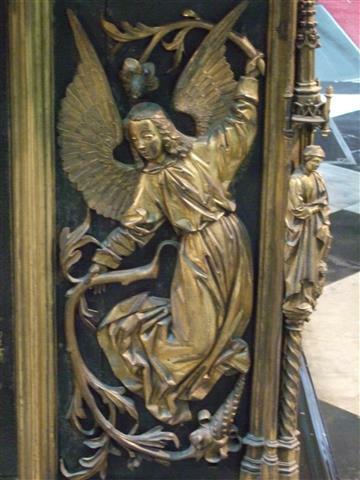 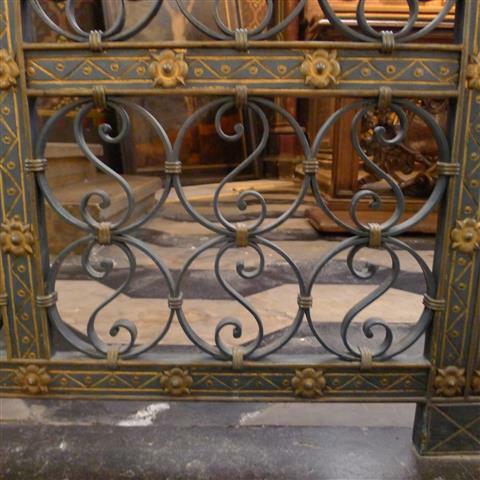 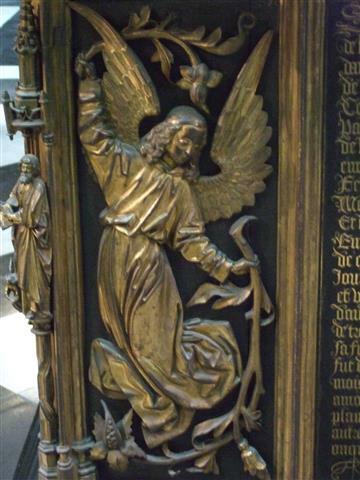 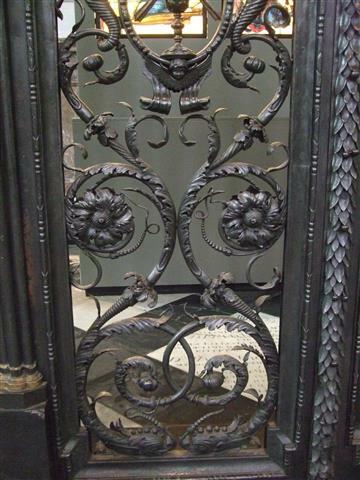 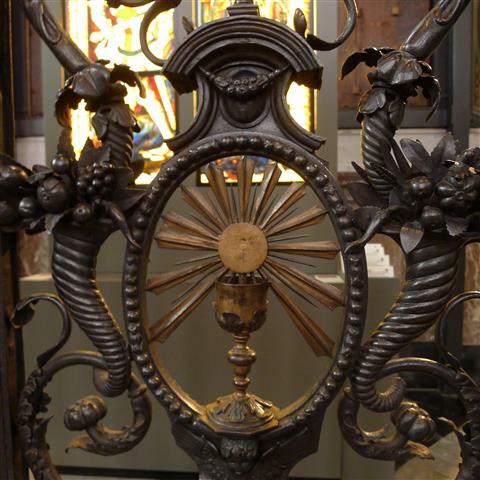 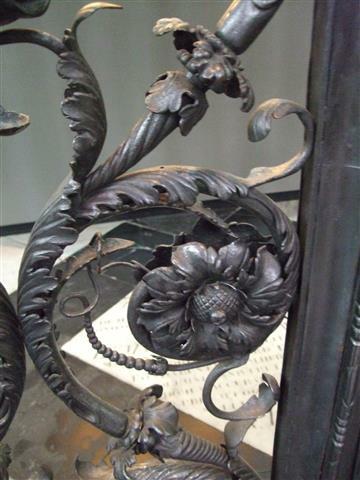 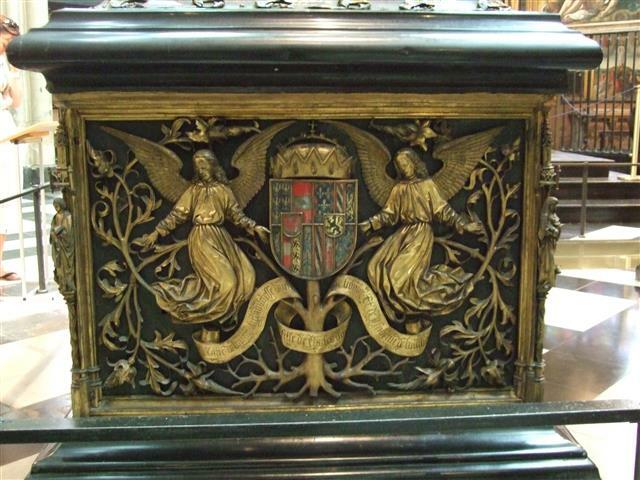 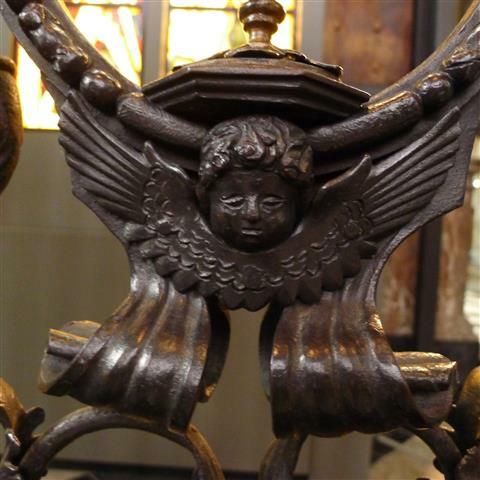 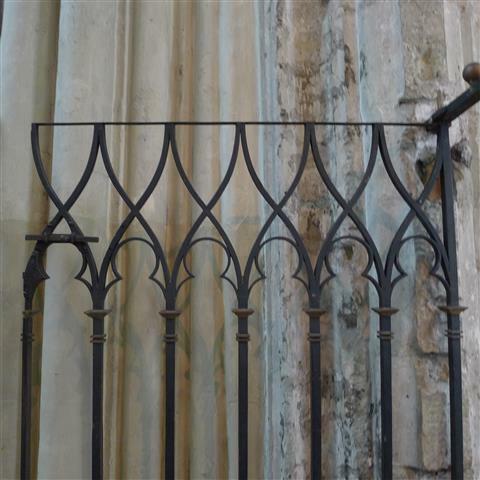 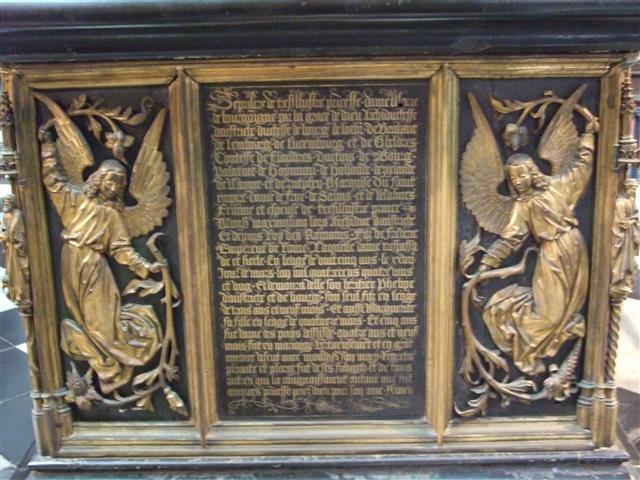 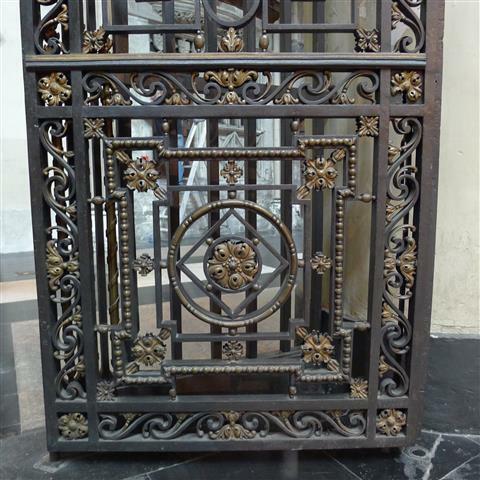 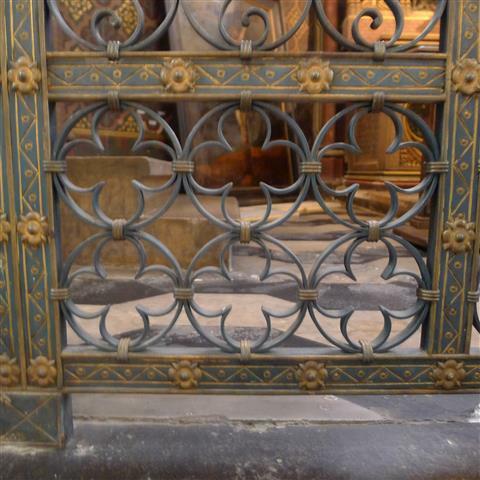 All around us we can find beautiful wrought ironwork, gates, the panels, angels, scrolls and flowers. 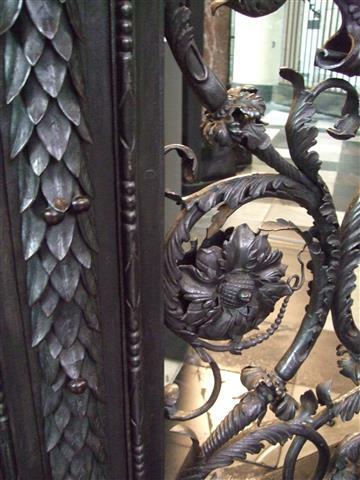 My Singaporean friend Velveteen and I barely know were to point our camera’s first, it’s a detail fanatic’s delight, and we are both detail fanatics. 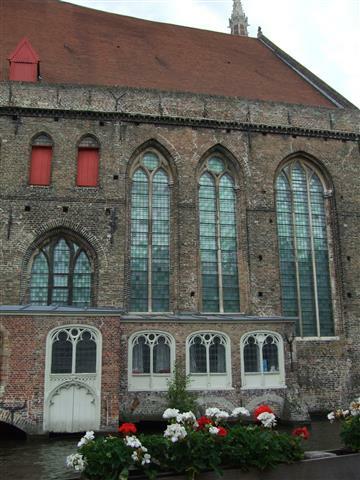 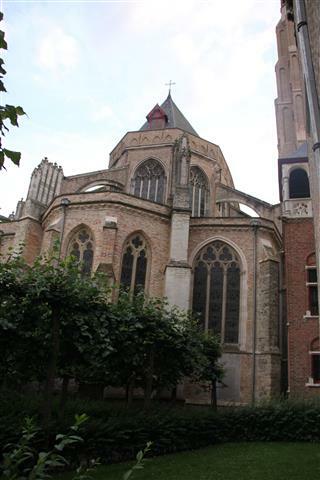 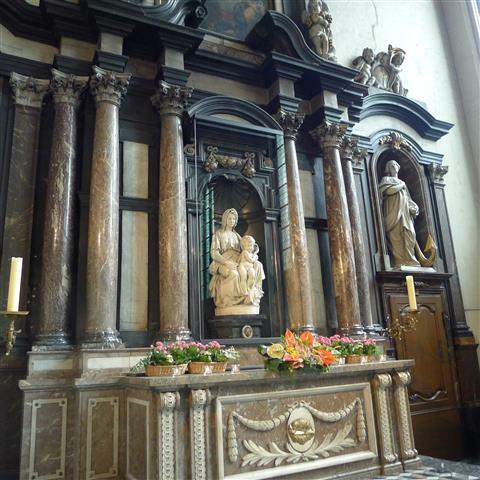 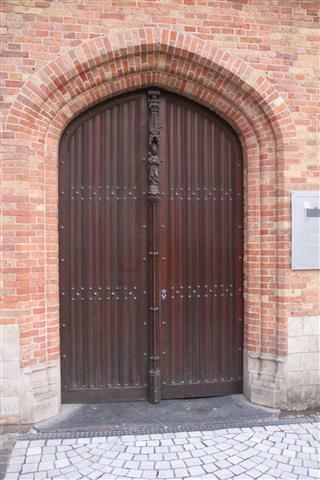 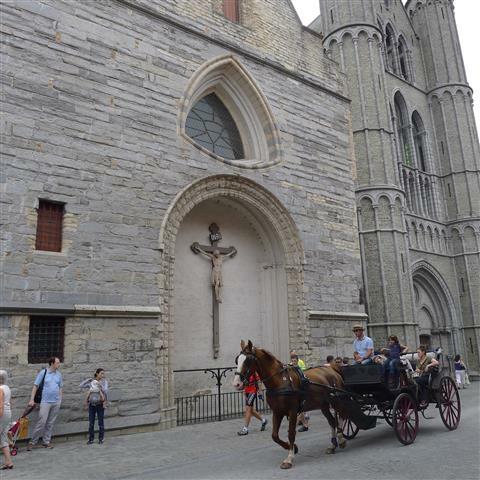 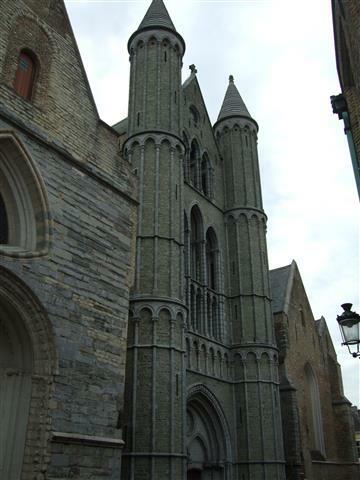 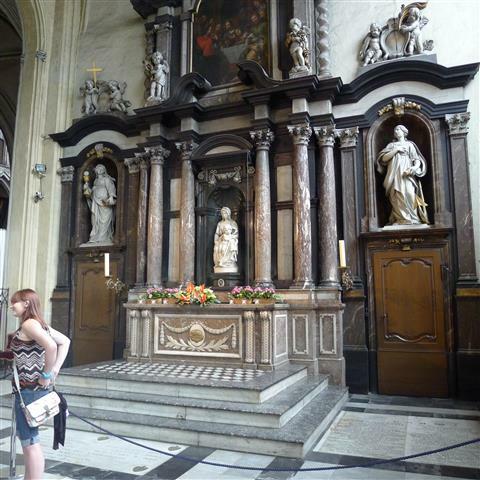 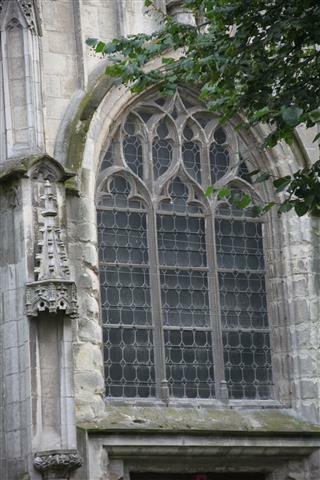 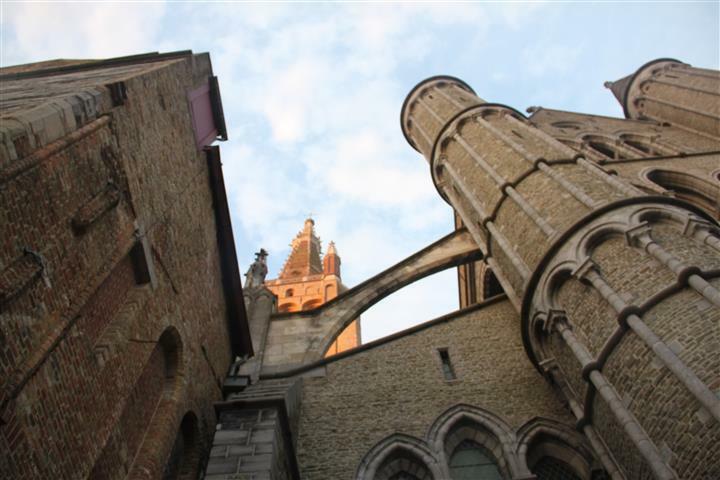 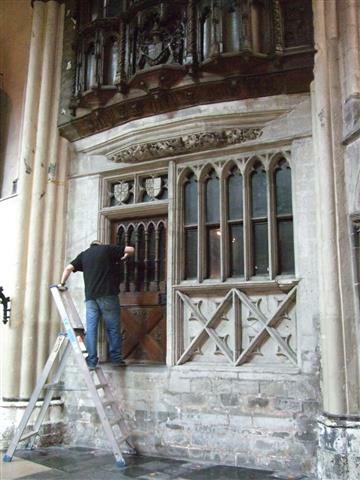 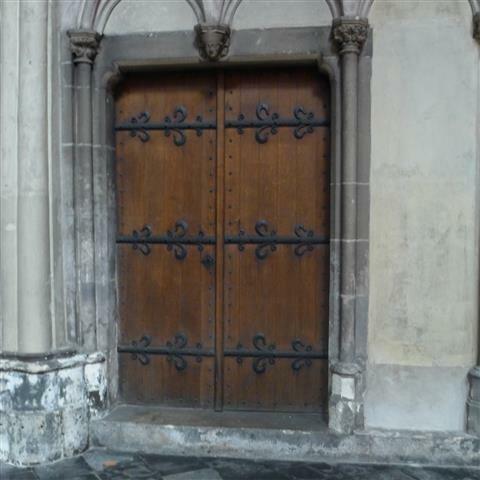 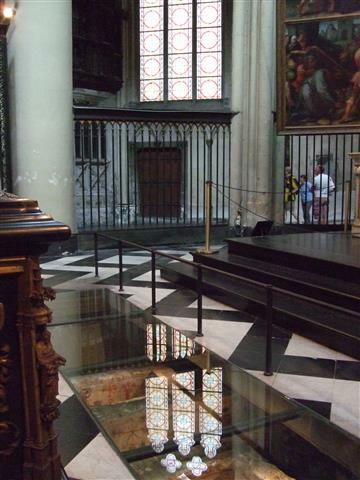 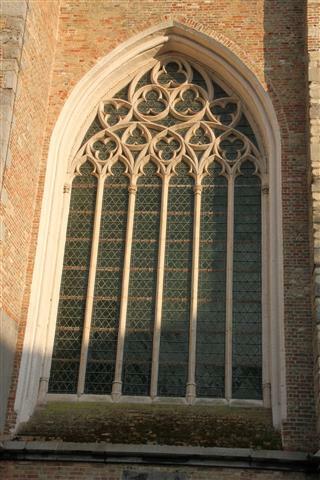 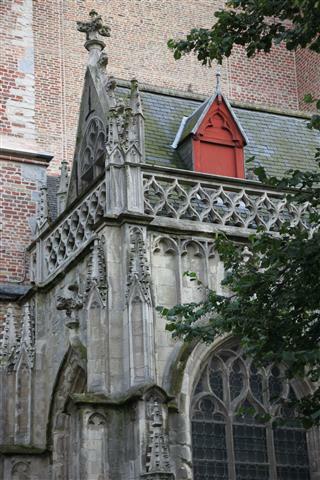 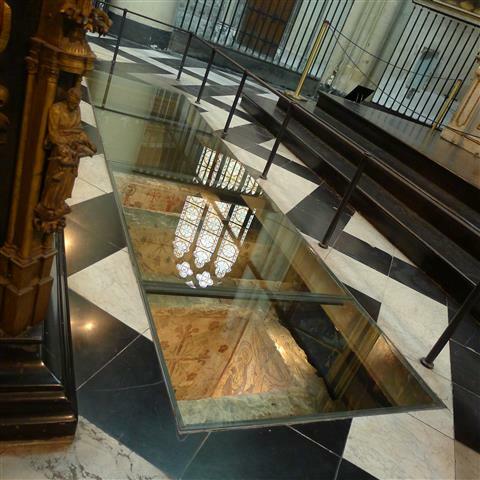 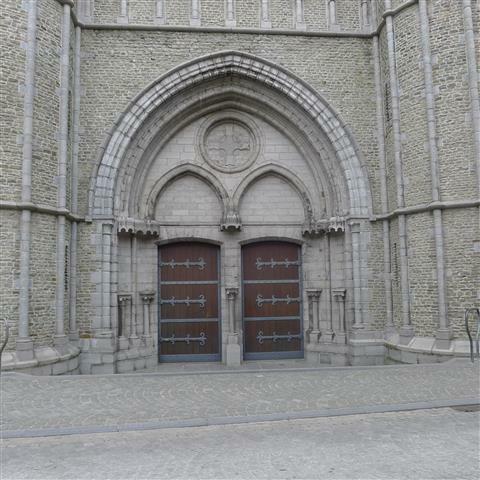 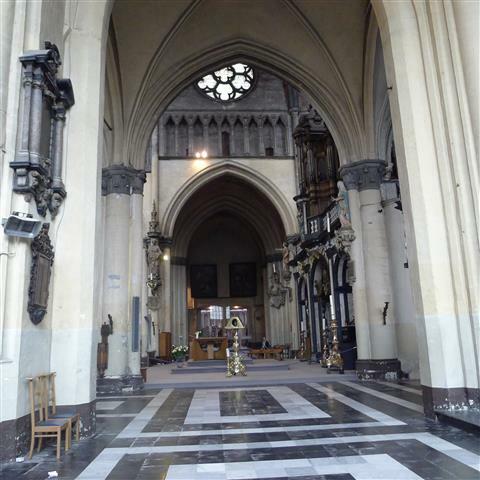 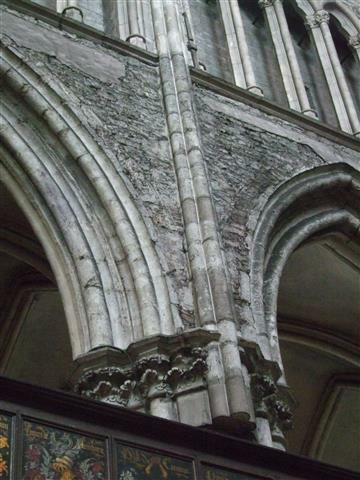 In this page of my on-line diary, that details our last summer’s adventures, we are visiting the Church of Our Lady, In Bruges, Belgium. 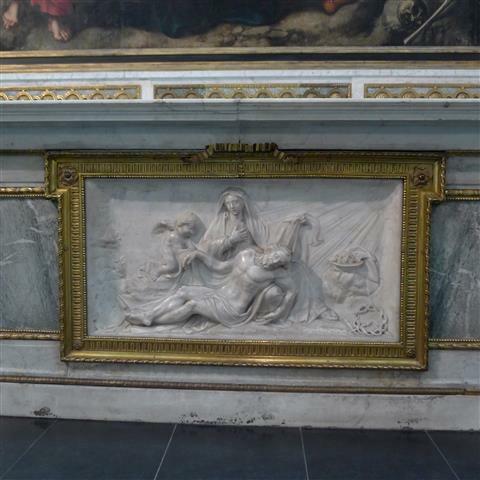 The reason I’ve bought our Singaporean friend “Velveteen” here is because this is one of the few places outside of Italy where it’s possible to see a marble sculpture by Michelangelo. 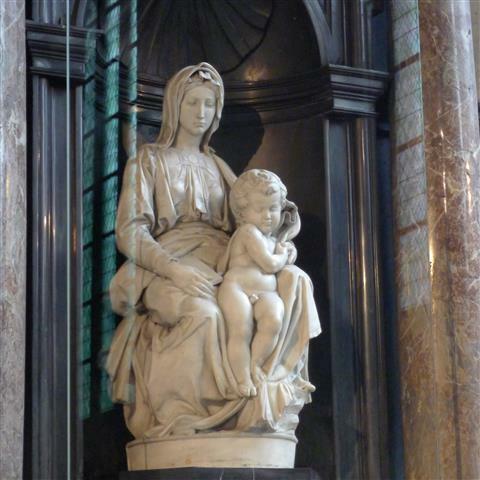 “Michelangelo’s depiction of the Madonna and Child differs significantly from earlier representations of the same subject, which tended to feature a pious Virgin smiling down on an infant held in her arms. 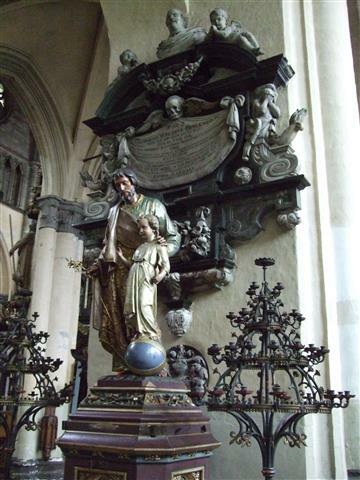 Instead, Jesus stands upright, almost unsupported, only loosely restrained by Mary’s right hand, and appears to be about to step away from his mother and into the world. 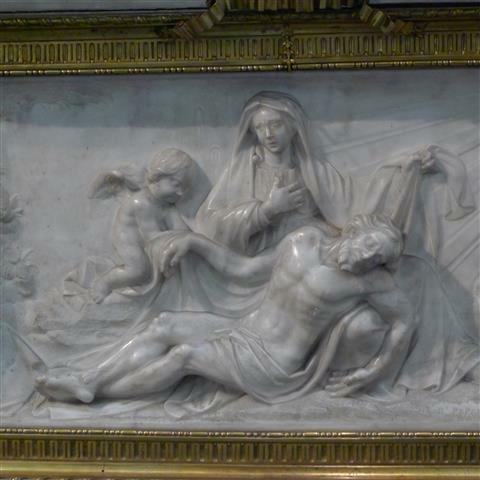 Meanwhile, Mary does not cling to her son or even look at him, but gazes down and away, as if she knows already what is to be her son’s fate. 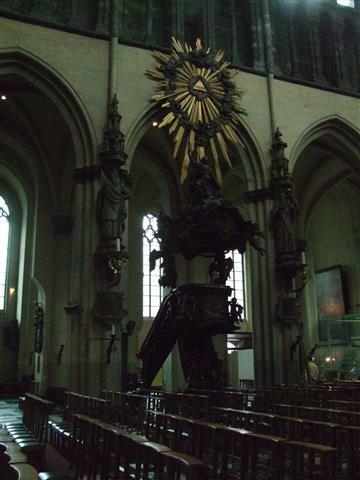 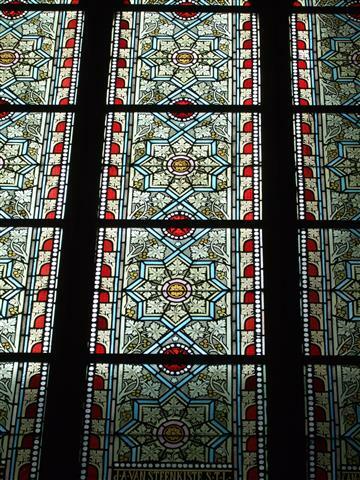 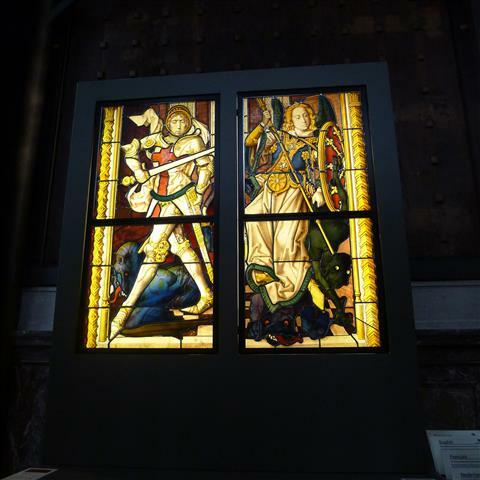 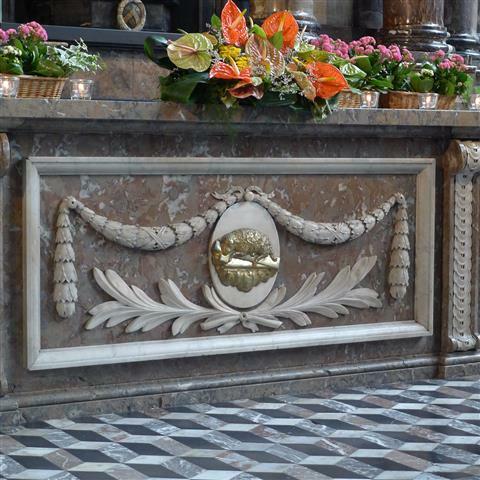 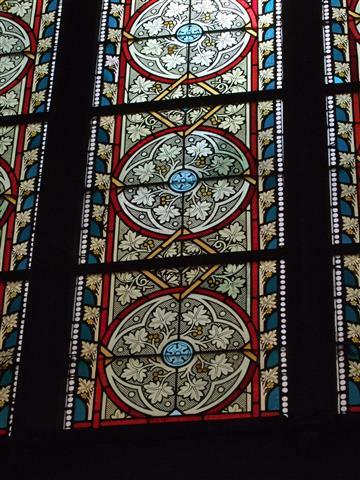 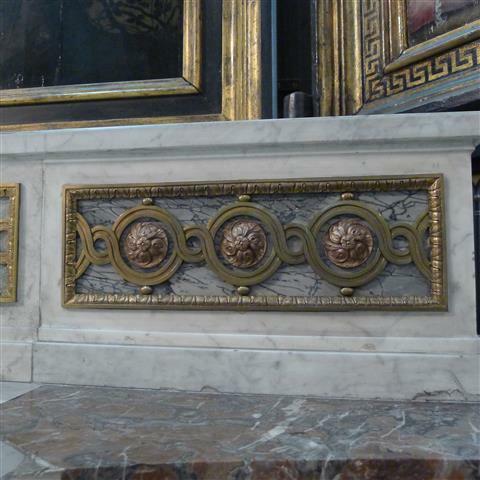 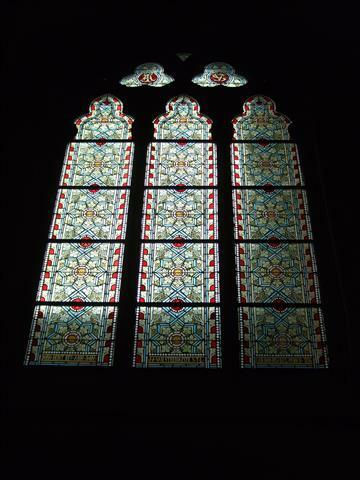 It is believed the work was originally intended for an altar piece. 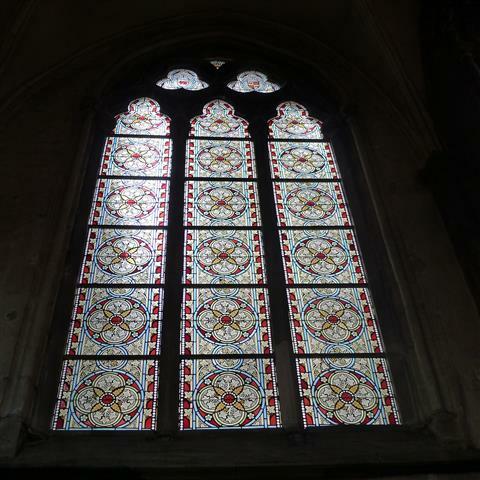 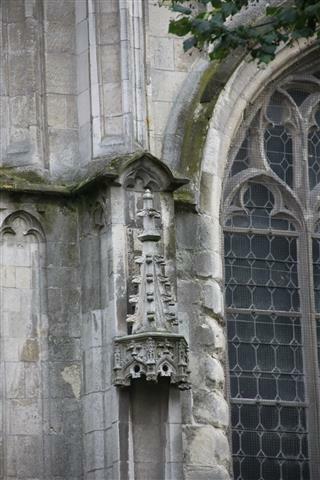 If this is so, then it would have been displayed facing slightly to the right and looking down. 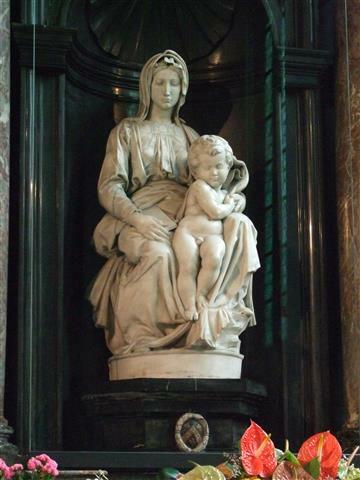 Madonna and Child shares certain similarities with Michelangelo’s Pietà, which was completed shortly before, mainly, the chiaroscuro pattern and the movement of the drapery. 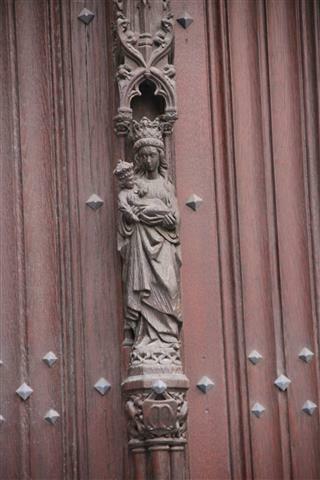 The long, oval face of Mary is also reminiscent of the Pietà. 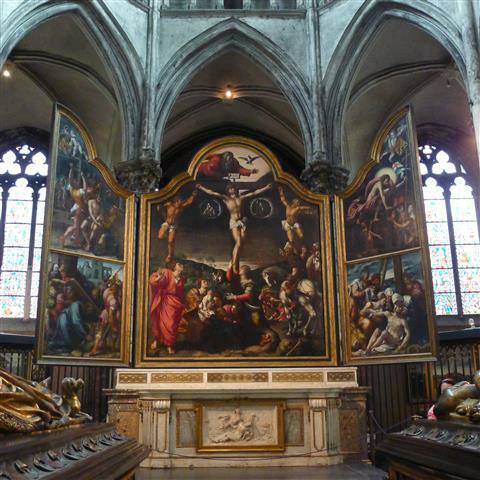 The work is also notable in that it was the only sculpture by Michelangelo to leave Italy during his lifetime. 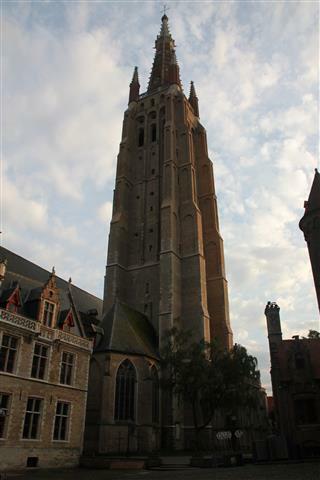 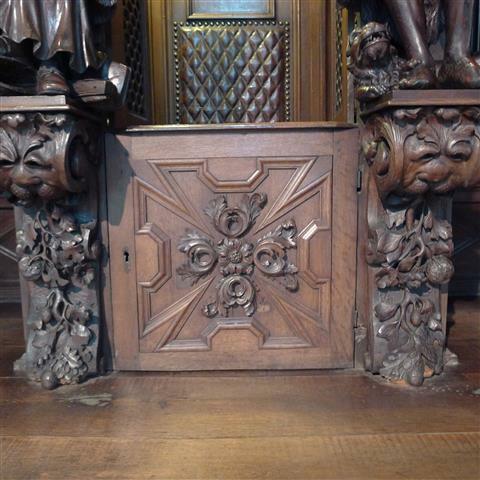 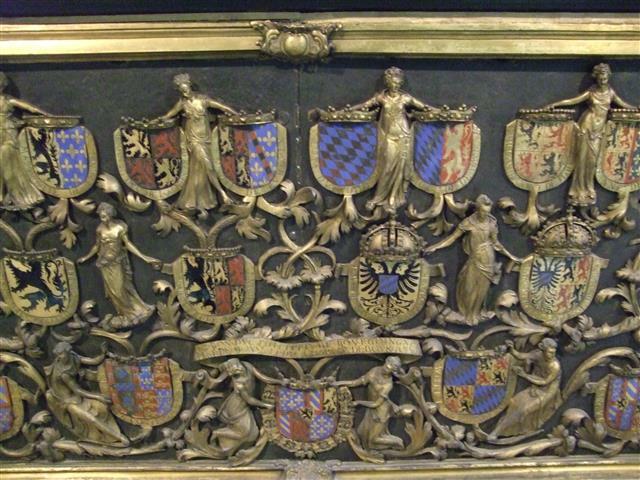 It was bought by Giovanni and Alessandro Moscheroni (Mouscron), from a family of wealthy cloth merchants in Bruges, then one of the leading commercial cities in Europe. 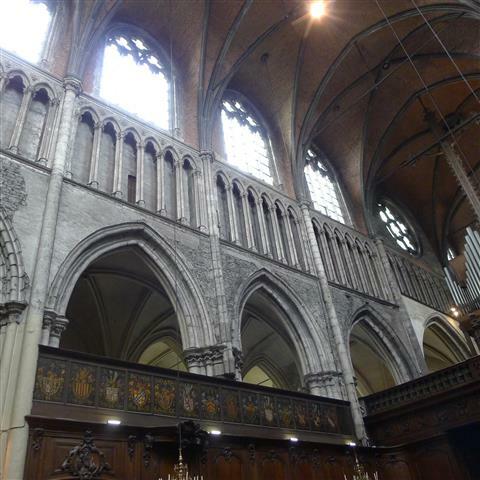 The batteries on my DSLR camera died soon after we entered the church so I had to use my little point-and-shoot so it was very handy that Velveteen’s set of photographs came out far better and I could use them too. 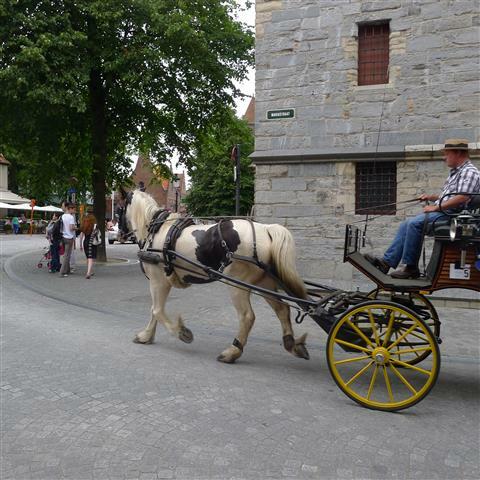 Another page from my travel journal of last summer as Family Kiwidutch visit Bruges Belgium. 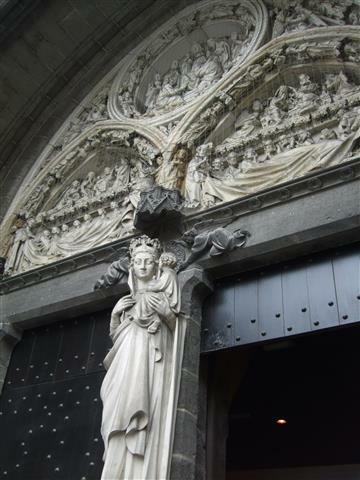 I’m taking my Singaporean friend “Velveteen” to visit a very special place to see a very special sight. 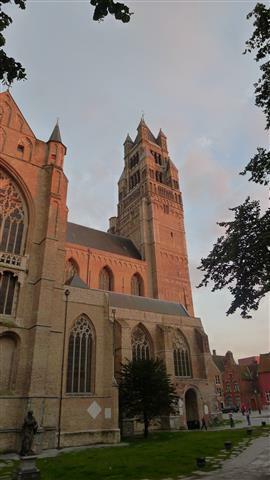 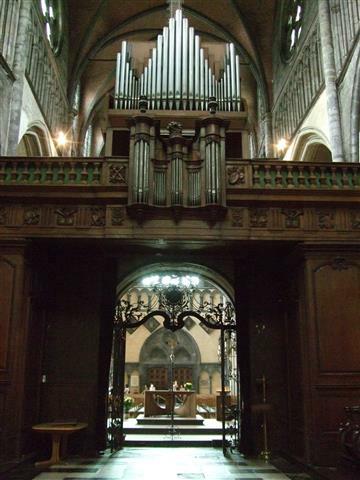 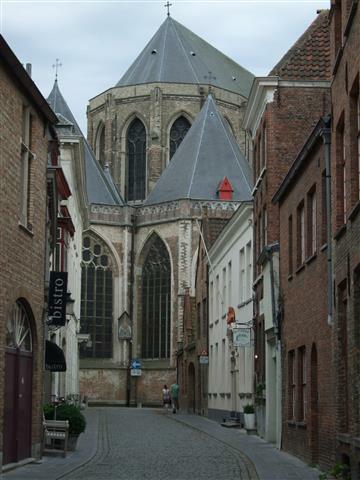 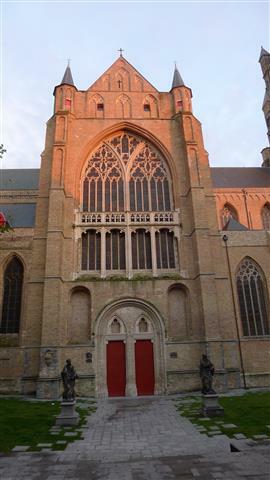 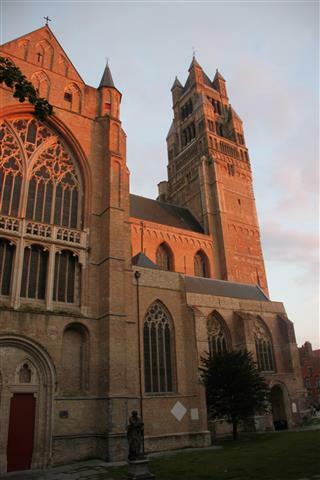 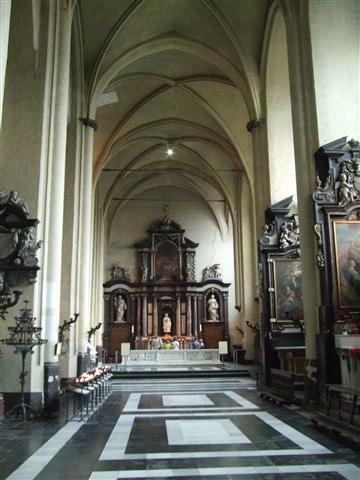 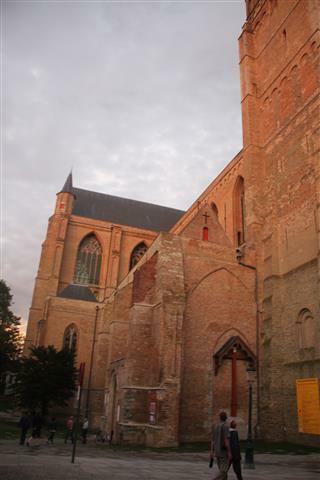 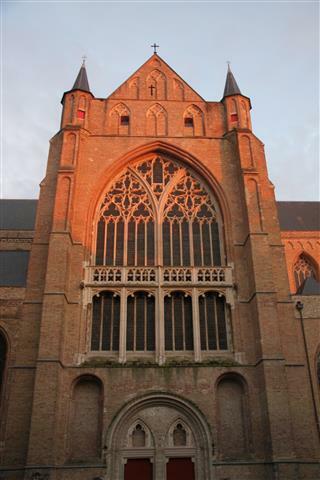 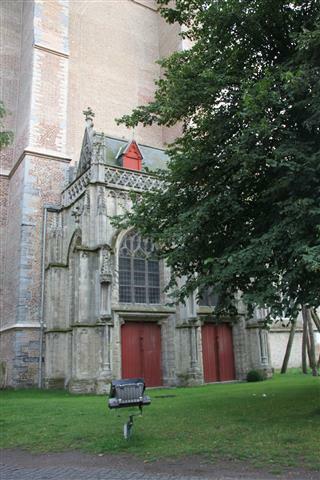 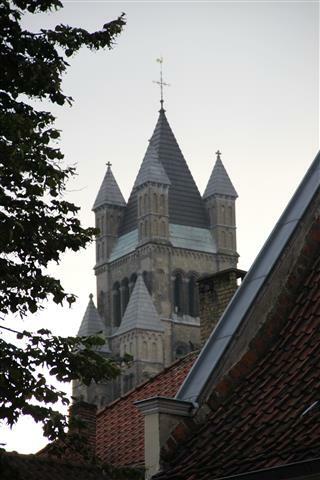 The place is the Church of Our Lady (Dutch: Onze-Lieve-Vrouwekerk) that dates mainly from the 13th, 14th and 15th centuries. 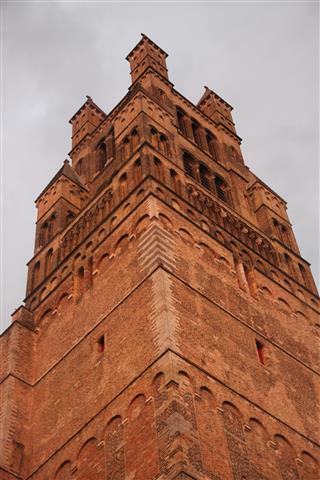 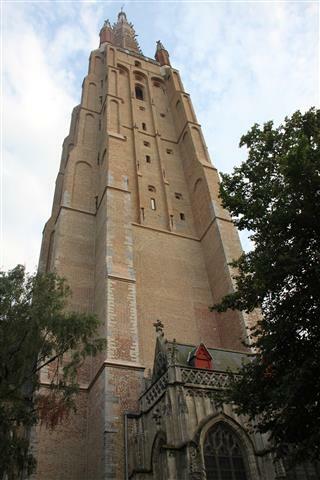 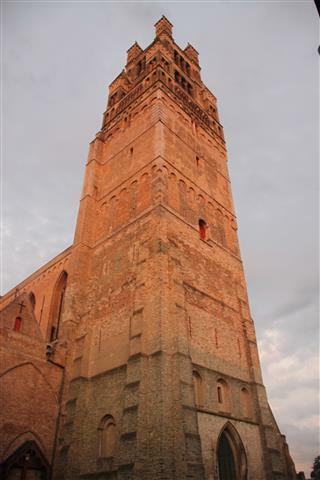 The Church tower, at 122.3 meters in height, remains the tallest structure in the city and the second tallest brick-work tower in the world (the tallest being the St. Martin’s Church in Landshut, Germany).